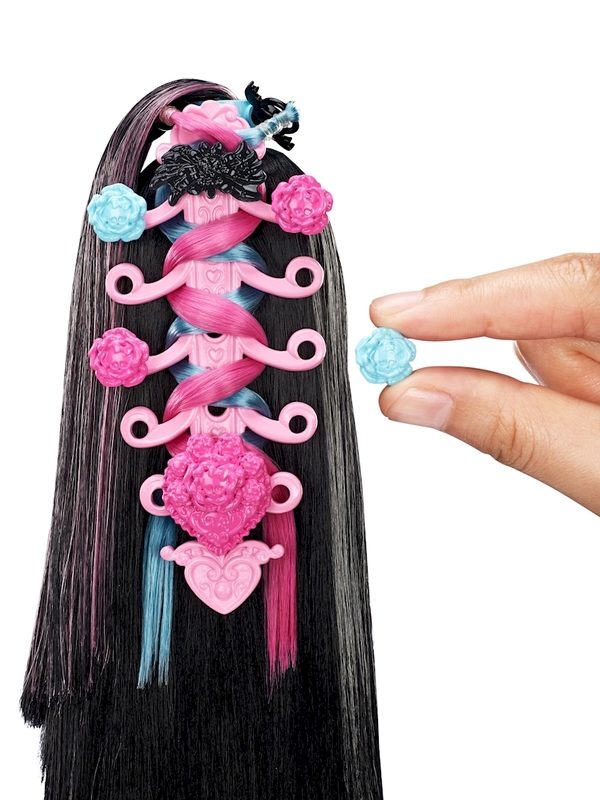 With ultra-long hair and 30 hair accessories, Draculaura™ doll is ready for hair-raising fun! The hair decorations are designed in her favorite colors -- shades of pink, black and blue -- and with iconic shapes, like flowers, bats, cobwebs and wings. Some pieces can snap into others for a tall “hairboo”, a wide style or an intricate updo. Colorful hair extensions, clips and hair ties mean you can braid, twist and style with unlimited possibilities. 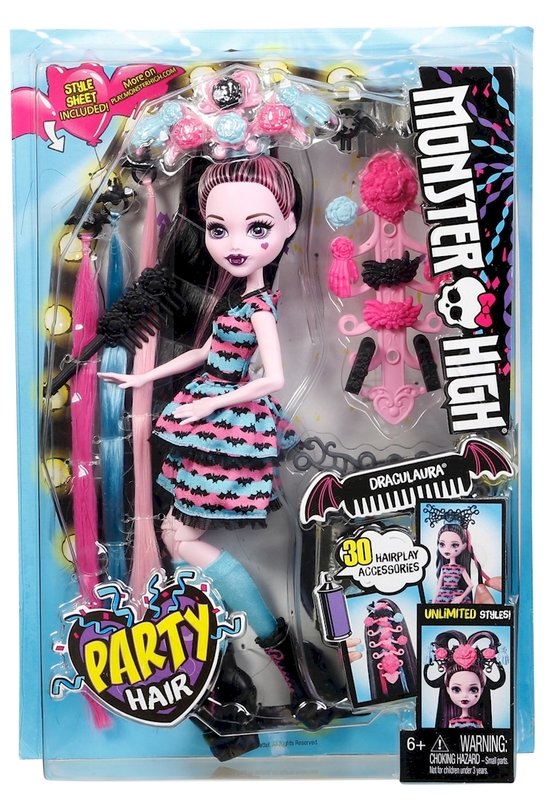 Draculaura™ doll will come alive with your looks -- her outfit is already boo-tiful with a pink and blue layered dress with black bat print. Blue socks, black boots and a black necklace complete the fangtastic look. Send the daughter of Dracula to school for the day or out for the night -- create one clawesome look, then take it down, comb it out and style another. Young ghouls will love the endless expression and storytelling fun. 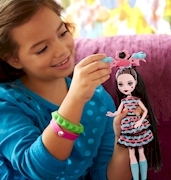 Includes Draculaura™ doll with extra-long hair wearing fashion and accessories, plus 30 hairstyling pieces. Doll cannot stand alone. Colors and decorations may vary.